Welcome, to the Elfpack Vanguard page. The Vanguards of Elfpack are the small and elite group of people who help new, and sometimes old, members learn new things, and answer questions. Not to be confused with the Guards, the Vanguards are not at all enforcers of the rules; they are instead the ones who will help you to learn more about, and explore, Elfpack. 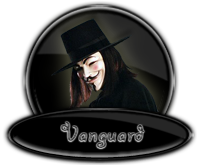 The Vanguards monitor the help and index pages, and ensure that members don't get lost between the cracks in Elfpack. The most effective and suggested way to ask a Vanguard for help, is to simply leave a comment on this page. However, if you're new or completely confused, you can also send a private message to a Vanguard and they'll guide you through Elfpack. 2011-12-03 [Morgoth]: I believe I'm the guy who you seek. I can make it happen, but why would I want to? Unless you "hack" (loosely worded here), you can't bypass the mood text limit. or, post it in the cult forum..
no worries, had I known it wasn't a technical question I'd have referred you there in the first place. 2011-12-04 [sammie h! ]: Its not to submit a new page yet though, as I haven't finished it yet, I just wanted help and advice, but you wouldn't give it to me. This competition doesn't start until February 2012. 2011-12-04 [Amalaswinta]: I get that. another reason is that I hardly ever respond to requests like this in a PM because then I end up giving the same advice to different members over and over, while by posting it on a wiki, other members can read the advice too.